Sneum escaped Denmark in a de Havilland DH87B Hornet Moth. Tagline: A Danish airforce officer by the start of WWII, Sneum fled to England, and became an agent for the British in Denmark. Claim to Fame: Mostly committing heroics that came to naught. Thomas Sneum was born in 1917, and joined the budding Danish Airforce in the 1930’s. On the 14th of April, a few months after the German occupation of Denmark, he resigned his post in order to attempt an escape to England. But alas, it failed, and he moved to live with his parents on the small Danish island of Fanø. While there, Sneum discovered that the Wehrmacht were putting up some large metal frames. He went to the Danish military and the Danish intelligence to tell them about the frames, but they just laughed at him. Sneum provided the British with their first footage of the German Freya radars. Next up, Sneum tried to assassinate Heinrich Himmler. Himmler was supposed to come to Denmark. Now, Sneum had a girlfriend in Copenhagen with an apartment overlooking the Hotel D’Angleterre, which was were the German officers were lodged. Sneum intended to sneak into the apartment without his girlfriend’s knowledge, and shoot Himmler with a metal bow. But, alas! Himmler was sick, and flew home to Germany, instead of stopping in Denmark. In June of 1941, Sneum and a colleague came into possession of a biplane. The owner had been unwilling to sell it, but gave it to them if they were going “westwards” – i.e., to England. Unfortunately, the plane’s own tank only held enough fuel to get them 2/3 of the way there – so Sneum had to crawl out onto the wing during the flight in order to fill the tank with fuel from cannisters they kept in the cockpit. But Sneum’s partner spilled fuel in the cockpit, making them both woozy from the fumes. At long last, the plane arrived in England, and the two airmen were quickly picked up by the RAF, who did not initially believe that they had managed the flight in the ratty old plane they had flown. Eventually, they did convince them – particularly when Sneum provided them with photos and film of the “metal frames” on Fanø. 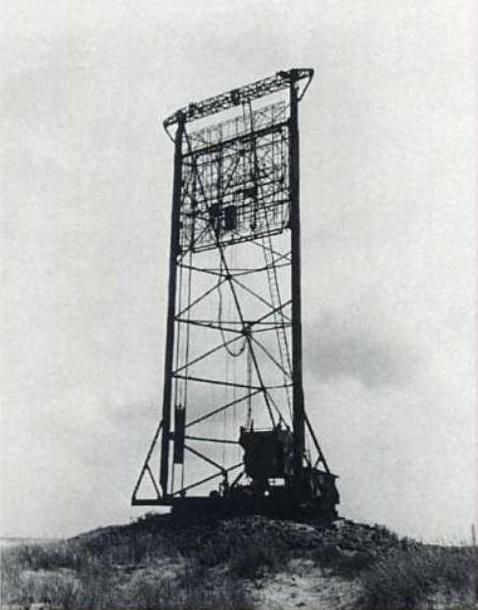 The photos were apparently mostly ruined by an inept attempt to develop them, but the films provided the British with very valuable intel: their first moving picture of a German radar. Sneum then was sent back to Denmark in a submarine in order to acquire more intelligence. But he was quickly in trouble, and had to flee across the ice to Sweden – where he was captured, and held until he was able to convince the Swedes that he was not a German spy. Sneum didn’t get a great treatment. He never got to fly for the English airforce. And after the war, the Danish airforce looked at him askance. They offered him to reenter the force at his old rank – which was a bit of an insult for a man who had attained a much higher rank in the English service during the war. Accusations of collaborations with the Germans clung to him. All of this is interesting and impressive. There is just one problem: the main source for a lot of it is, apparently, Sneum himself. So it may be wise to take these stories with a grain of salt. How I would use him: Sneum is great for a spy story. A lot of his exploits would fit right into a James Bond story – particularly during the second world war. And of course, if you’ve said Nazis, you’ve said silly occult things going on. Maybe those frames were not mere radars. Maybe they were something more… sinister.